With the new Jimny said to go on sale in November 2018, here is a look back at the car that crept into many hearts; including ours. 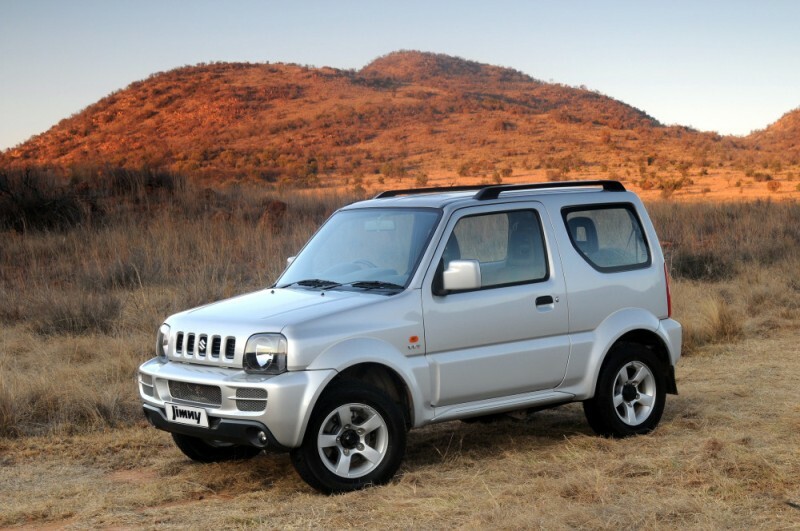 Loved by many, the Suzuki Jimny has a very rich history in southern Africa. Known for its small appearance, the Jimny has become known as the nimble 4×4 that will get you anywhere and even put larger, more expensive SUV’s to shame. It quickly became Suzuki’s stable model in southern Africa, and with good reason. 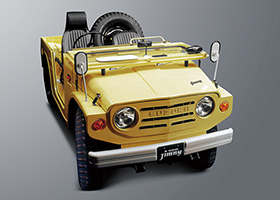 With its unique square form, the first generation came to life in 1970 as Suzuki launched the LJ10, which had an air-cooled 359cc, two-cylinder, 18kW engine. The car was less than 3 metres in length, yet Suzuki managed to release it with four-wheel drive car. Weighing only 590kg, the car had a top speed of 75km/h. In 1972, the LJ20 was launched with small exterior design changes, while the engine now produced 21kW and could reach 80km/h. Also new to the design was the inclusion of two rear seats (facing one another). With stricter emission legislations, the SJ10 (LJ150) was introduced in 1975 with a 539cc, 24kW three-cylinder engine and 635kg in total weight. As the spare wheel was positioned at the back of the car, four people could now fit comfortably. The 1977 SJ20 rounded off the first-generation Jimny. 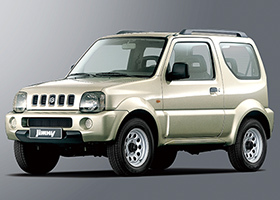 Now with 797cc and a four-cylinder engine, the new Jimny weighed 770kg and had 31kW. It also featured a new interior design and a longer wheelbase. Known to many as the first Jimny range to enter South Africa in 1983, this new design expanded the Suzuki brand even more. The range was earmarked as one of the best 4×4 vehicles in soft sand, with its still (relatively) small size and weight. The SJ30 came to life in 1981, but only ever sold in Japan. In 1982, the SJ40 (SJ410) was introduced with a 34kW 1,000cc engine. Thanks to a four-speed manual gearbox, it was capable of 109km/h. The SJ410 was sold as a convertible as well as a two-door hardtop. It also featured drum brakes all-round, with disc brakes being introduced for later models. 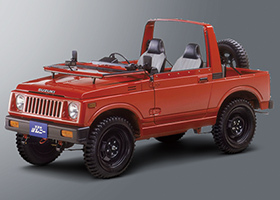 In 1990, the Samurai (SJ413) came to life with a 1.3 litre (four-cylinder) engine. It featured a five speed manual gearbox, with drum brakes on the rear and discs on the front. 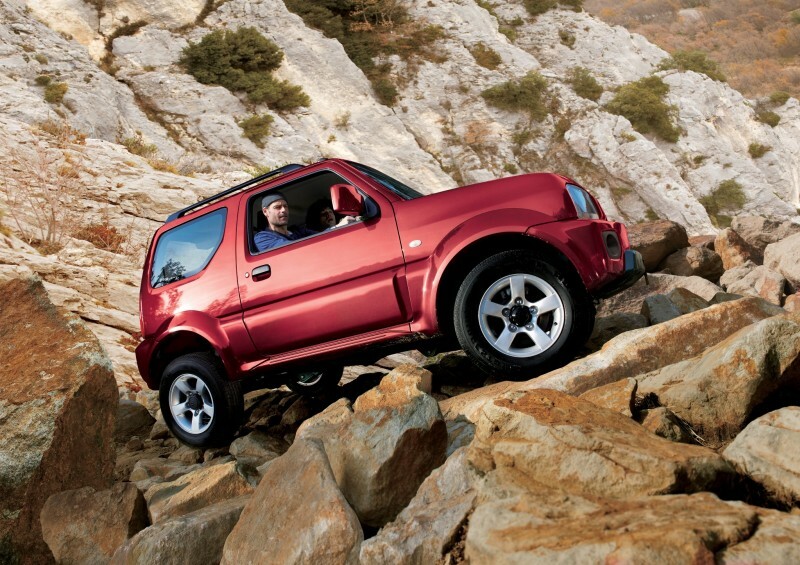 In 1997 the new Suzuki Jimny was showcased to the world. With a much more rounded design and modern technologies, the new Jimny became one of the best-selling vehicles in southern Africa. Entering the market as a small SUV, it was one of the few to have low range. A new 1.3 litre engine found its way into these Jimny’s, producing 63kW (@ 6000 rpm) and 110Nm (@4100 rpm). With part-time 4WD, this Jimny is propelled by its rear wheels and a five-speed manual gearbox. The selling point of this specific generation is often its abilities on rural and 4×4 terrain, as well as in the city. With a turning radius of 9.8 metres, the Jimny is very easy to use on urban terrain as well as in tight 4×4 sections. 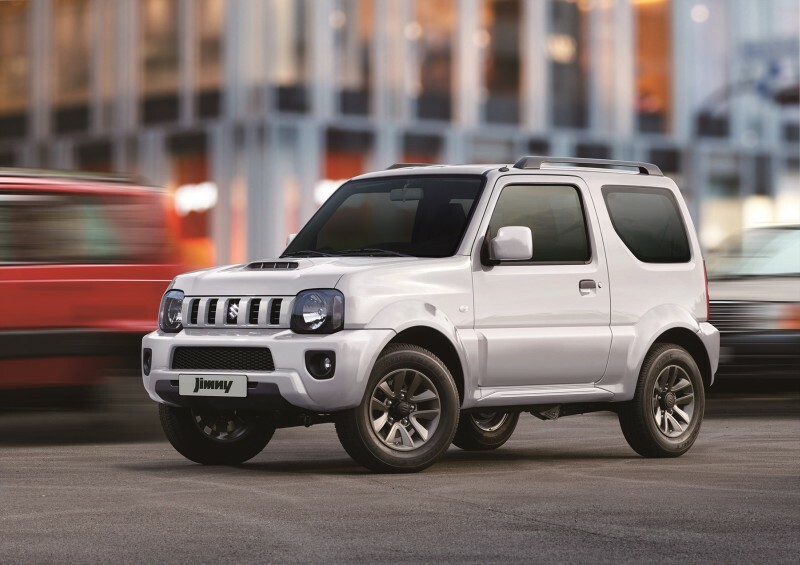 The new Jimny was also paired with new safety features such as ABS and power steering. Its bulkier design meant that it can fit 324 litres of luggage as well as four adults. It was (and still is) seen by many as the ultimate package because it’s able to race past bigger (and more expensive) 4×4’s on technical off-road courses while being light on fuel and easy to use in an urban environment. Now however, Suzuki is promising a new and improved Jimny to be released on South African shores, later in 2018. While no engine or performance specifications are available yet, the new Jimny certainly looks better than ever. Combining the boxy LJ10 shape of old, with new and modern off road apparel, the Jimny looks ready to tackle any terrain. Like the previous model, this Jimny will also feature a ladder frame chassis, 3-link rigid axle suspension, as well as part-time 4WD (with low range). 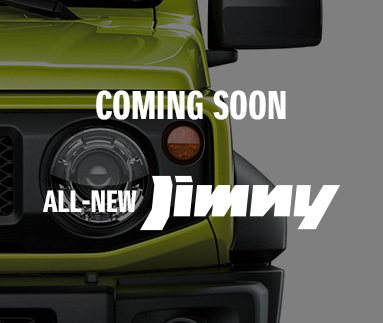 With the Jimny being such a popular model, we can’t wait for this to be released in southern Africa. Images: Various sources including GlobalSuzuki.com and Suzuki Auto S.A.